I’ve had the privilege to work with some great students! This is just one example of the commitment to educating about proper denture care. Enjoy! 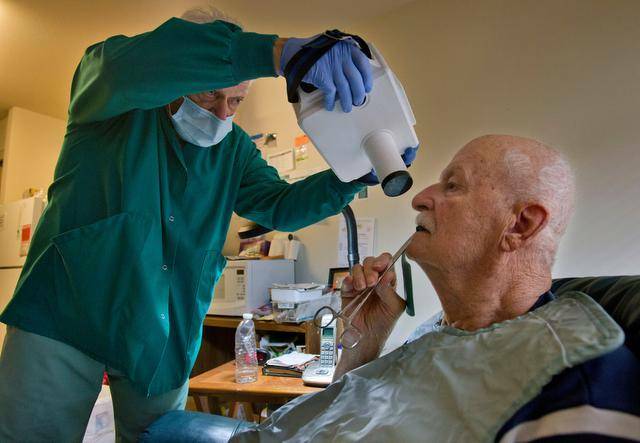 Geriatric Dental Care Is More Than Just a Warm Body and Portable Equipment! House call dentistry is on the rise. Thankfully, the past few decades have seen an increase in awareness for health care for the homebound. However, not all homebound care is equal. It’s easy to establish the technicals of dental care in the home – the dentist, the portable equipment, and the scheduling. Much more difficult and ambiguous are those things that actually determine whether the house call dentistry experience will be a positive or negative one. Quality home dental care for elderly individuals goes far beyond the technicals. 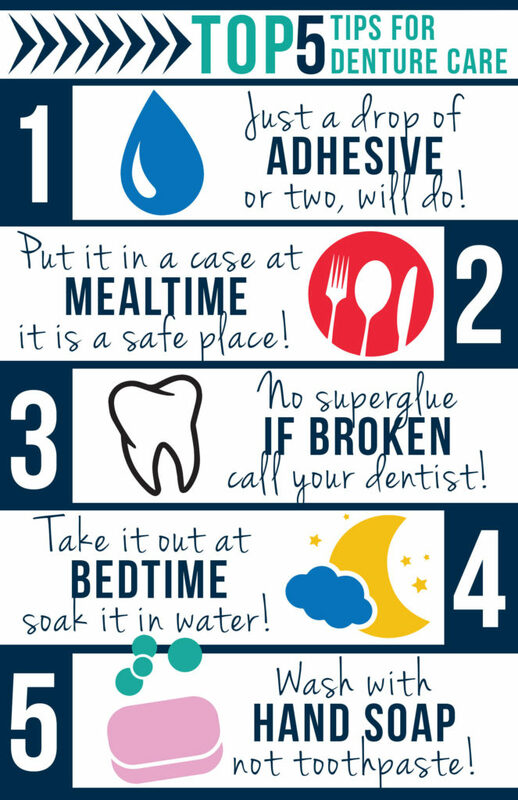 When it comes to dentistry, there are a world of differences between treating a toddler with her first tooth and treating an elderly individual with missing teeth. Dental problems elderly experience are unique, involving dentures that are often affected by other health complications. It is important for dental professionals to be knowledgeable concerning common health conditions affecting their elderly patients and the medications that accompany those conditions. Many medications cause increased problems for dental treatment in the home. If your house call dentist is not aware of these, at best you will not be receiving top quality elderly home dental care. At worst, you may experience serious complications. Home dental care can be challenging. Perhaps the subject will only sit in a specific chair to be seen. Or maybe the space is tight and inconvenient for easy movement. Some patients may even present problems behaviorally if they suffer from mental conditions such as Dementia. It is imperative that your Geriatric house call dentist be flexible. He must be willing to work around what you or your loved one want for their treatment, not what is most convenient for him. He must also be ready and equipped to handle the challenges that come with some elderly whose minds are not as controlled as they once used to be. Perhaps the most important aspect when searching for quality home dental care for elderly loved ones, compassion in the one providing care makes all the difference in the experience. Look for a professional that truly has a heart for the elderly. Aging patients bring unique challenges to the table, and you must be sure that your dental professional has an underlying care and compassion that will ensure patience, perseverance, and commitment. Finding the right home dental care for your loved one can be difficult. Insisting on these 3 often forgotten essentials in your Geriatric house call dentist can bring a greater sense of peace to your decision. 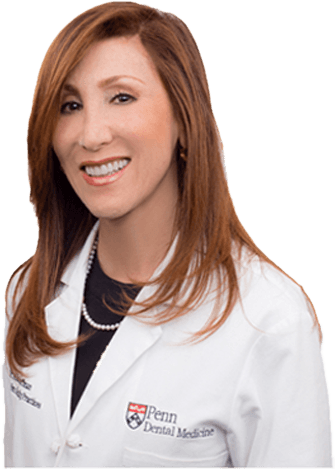 Dr. Alisa Kauffman of Geriatric House Call Dentistry would love to answer any of your questions concerning her care for the elderly. You can reach her at 917-826-6278 or contact online. Those with aging parents already know the mental strain of seeing their loved ones in pain. But the additional stress of navigating care for elderly amidst a confusing and ever-changing healthcare scene can be enough to push the limits of sanity for even the most committed and loving caregivers. That’s why Aging Life Care Associates (ALCA) provides the elderly and their caregivers with trained professionals committed to helping them through every aspect of care and living. ALCA provides resources, thorough education, recommendations of certified aging life care professionals, and much more. ALCA paves the way for compassionate, quality care for the elderly. Dr. Alisa Kauffman has recently been highlighted as a new member in the Aging Life Care Association of geriatric care professionals. She is excited to be part of a distinguished organization that is partnering with healthcare professionals who have the same passion for exemplary geriatric life care. Here is the recent member spotlight distributed amongst ALCA’s network of aging life care professionals. Where do you practice – city, counties? My area is limited to Manhattan and Riverdale. What led you to the field of Aging Life Care? Over the years I have worked with many geriatric care managers who have been thoughtful enough to invite me to a lot of their meetings and seminars. I especially loved the full day seminar with Teepa Snow. Are you a solo practitioner or do you work for a larger organization? I am a solo practitioner. Do you have an area of expertise or specialty? I enjoy working with the elderly in their apartment or home. My colleagues call me the denture queen, but is that really a compliment? In all seriousness, I enjoy fabricating dentures and feel competent working on any type of patient, even those with severe dementia. What do you hope to gain from your ALCA membership? I will continue to work closely with many of your members. Most know that I am available 24/7 to help them with any dental issues that arise. I will always try to make room in my schedule to attend the meetings I am invited to. Is there an aging issue that you are passionate about? I am passionate that we must find a prevention/slow down of all types of early memory loss. It is a tough issue for everyone to deal with. I enjoy mentoring my students in geriatrics at the University of Pennsylvania School of Dental Medicine. And I look forward to the weekends when I can relax and enjoy spending time with my husband and daughter. How can other members contact you (phone, email. website)? Members can feel free to check out my website www.geriatrichousecalldentistry.com which contains a lot of informative videos, or feel free to call or text me at 917-826-6278. I always answer my phone unless I am with a patient (and I will call you back), or I am asleep in which case I turn off my phone. I am always available! !